A reverse mortgage could be a key component to your retirement planning, providing funds now and for the future — but it’s not the right choice for everyone. 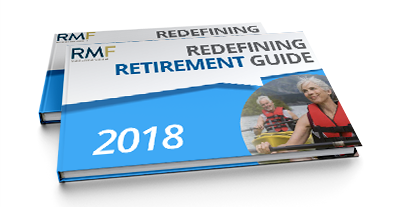 We want you to understand the advantages and disadvantages to help you determine if a reverse mortgage is right for you. This page is a good place to start. It’s a loan option that can help make it easier for homeowners and homebuyers age 62 and older to live a more comfortable retirement. You continue to live in your home and retain title to it. As with any mortgage, you must meet your loan obligations, keep current with property taxes, insurance, maintenance, and any homeowners association fees. You can choose to take your funds as a lump sum; line of credit that you can tap as needed; a steady stream of monthly advances for a set period of time, or as long as you live in the home; or a combination of these options. Borrowers who elect a fixed rate loan will receive a single disbursement lump sum payment. Other payment options are available only for adjustable rate mortgages. The funds from your reverse mortgage loan can be used to pay off the existing mortgage on your home. While there will still be a lien on your home for the outstanding amount of the reverse mortgage, you are not required to make monthly principal and interest payments on the reverse mortgage, so you will be freed from the monthly mortgage payment expense. As with any mortage, you must meet your loan obligations, keep current with property taxes, insurance, maintenance, and any homeowners association fees. No monthly mortgage payments are required for as long as you live in the home and continue to meet your obligations to pay your property taxes and homeowners insurance and maintain the property. As with any mortgage, you must meet your loan obligations, keep current with property taxes, insurance, maintenance, and any homeowners association fees. Closing costs and ongoing fees, such as the Federal Housing Administration (FHA) Mortgage Insurance Premium (MIP), can be financed with the reverse mortgage loan — so out-of-pocket expenses can be minimal. Generally, a reverse mortgage loan will not affect Social Security or Medicare benefits. However, you may wish to consult a financial professional to determine the potential financial implications of obtaining a reverse mortgage loan. A reverse mortgage loan is a non-recourse loan. This means that neither your nor your heirs are personally liable for any amount of the mortgage that exceeds the value of your home when the loan is repaid. If your home increases in value in the future, you may consider refinancing your reverse mortgage to access even more loan proceeds. After the loan is repaid, any remaining equity belongs to you or your heirs. If you’re a homeowner who’s at least 62 years old, with equity in your home, you may be eligible for this financial solution. As home equity is used, fewer assets are available to leave to your heirs. You can still leave the home to your heirs, but they will have to repay the loan balance. Usually, the loan is paid off by selling the home. However, this can be done using other funds or by refinancing through a traditional mortgage. Eligibility for needs-based government programs, such as Medicaid or Supplemental Security Income (SSI), may be affected. Consult a benefits specialist. A reverse mortgage loan becomes due and must be repaid when a “maturity event” occurs, such as the last surviving borrower (or non-borrowing spouse meeting certain conditions) passes away, the home is no longer the borrower’s principal residence, or the borrower vacates the property for more than 12 months for medical reason or 6 months for non-medical reason (see CFPB guidance.) The loan will also become due if the homeowner fails to meet other loan obligations, which include paying their property taxes, insurance, homeowners association fees, and maintaining the property.